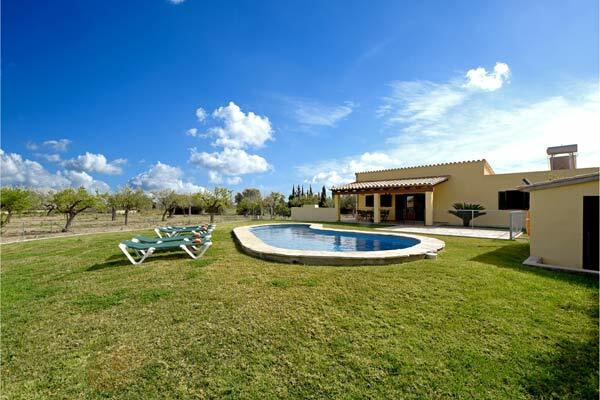 Delightful family villa with gated swimming pool in a quiet, private location, with far reaching countryside views. Yet only a few minutes’ drive to the sandy beaches of Puerto Pollença. 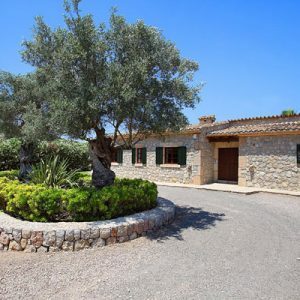 Ideal for families with small children to enjoy the benefits of a holiday in the beautiful Mallorcan countryside. The 9m gated, mosaic tiled swimming pool has spacious terraces comfortably furnished with reclining sun loungers. Plenty of space for children to play on the lawn within the colorful, herb scented gardens. The terrace surrounding the property is fenced with a lockable gate so the pool area can be closed as needed for children. Stone built BBQ with covered poolside dining terrace affords delightful countryside views.